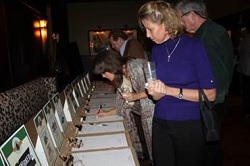 Another way to contribute – Auction Items! Auction Items Needed and Appreciated! This includes fresh and nutritious fruits, veggies and three daily meals, exceptional veterinary care, innovative enrichment, and the social companionship and caring environment needed for the chimpanzees to live happy, healthy, fulfilling lives. With an annual lifespan that can exceed 50 years, your support of their lifelong care makes a huge impact. We are in need of chimpanzee-themed items of all kinds. This auction features items of all kinds including gift cards/certificates, vacation packages, gift baskets, jewelry, and more. We are open to ideas! Fun items, gift cards/certificates, kids’ items, and sport-themed items can be used for this event’s gift baskets being raffled. 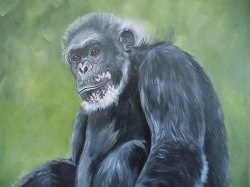 If you can’t donate an auction item, you can still support the chimps and the Sanctuary by attending an event, participating in our online auctions, being a sponsor of a special event or making a donation! Everything helps. Thank you for all you do for the chimps!